Although Quartz Countertops are priced at $50 per sq. ft., the quantity and quality that this countertop provides you with is money well spent. Quartz countertops provides you with unbeatable performance, durability, its scratch resistance & sophisticated in appearance. 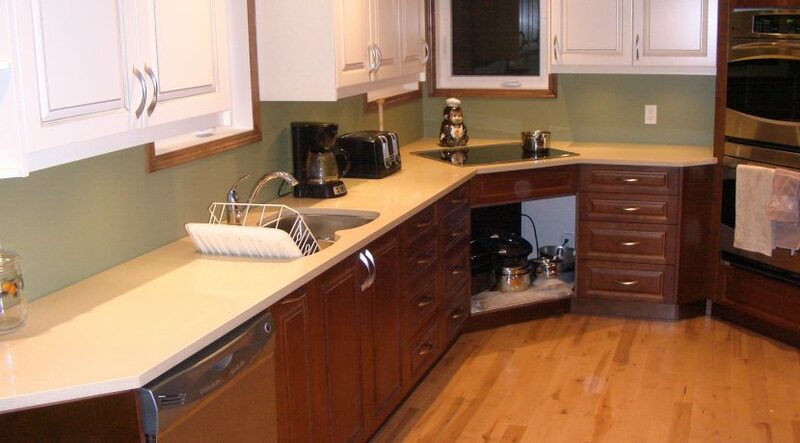 Furthermore quartz countertops require little maintenance to keep to the luster and appearance looking brand new. Unlike laminate countertops, which require specific supplies for maintenance, quartz countertops can easily be cleansed using a sponge or cloth dipped in warm soap water. Like any other countertop on the market the quartz countertops can be permanently damaged if exposed to strong chemicals. Do not use household cleansers, which contain these chemicals Trichlorethane & Methylene chloride. Those chemicals are commonly found in paint removers, paint strippers and bleach; these chemicals can alter your surface physical properties. Additional cleanser to avoid includes oven grill cleansers, dishwasher polishing concoctions that contain high alkaline or pH levels of pH 8.5 or higher. Products that have oils or powders are likely to leave a residue and need to be rinsed off thoroughly. If your counter comes into contact with any of these things, rinse with water immediately and that should prevent damage. I have yet to see a countertop that is stain proof; therefore until one is invented we will continue to wage war on stain removal on our countertops. 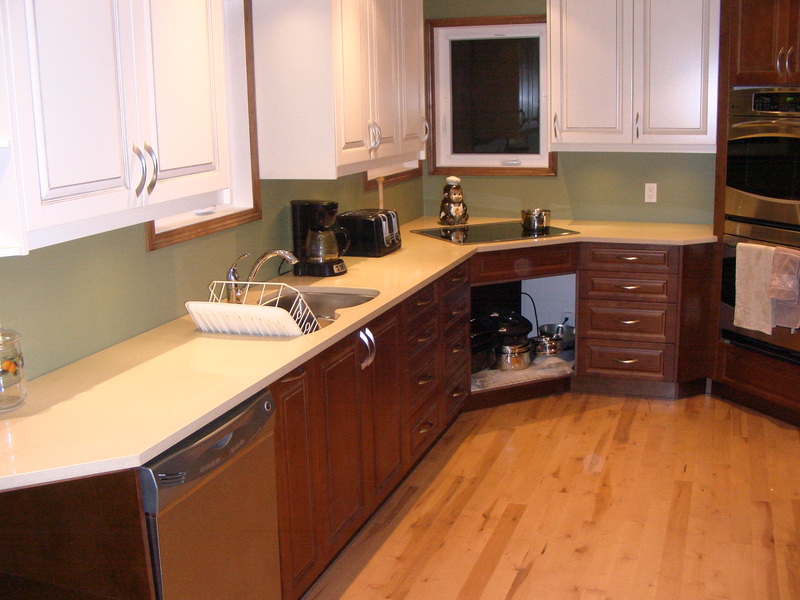 Whether it be a coffee, gum, nail polish or a food stain, quartz countertops make it easy to remove such residue. To remove such stains use household cleaners that won’t dull or smear the surface shine. These cleaners include but are not limited to those mentioned Baking Soda, All-purpose cleaner and wood cleansers. Whichever product you chose simply mix (or spray it on) with a little water. Then using a soft scrub pad along with a little elbow grease, start scrubbing the surface of your quartz countertop. For those super hard stains I recommend that you purchase a non – scratch Scotch Brite pad. Quartz tends to be more heat resistant than other stone surfaces. That does include granite, limestone, marble and others. These stones can withstand temperatures up to just under 300 degree Fahrenheit. Countertops that are made from these stone materials can, however, be damaged with rapid temperature changes. It is highly recommended that you should avoid placing hot pots an pans directly on your countertops. If you can find a hot pad or plate to use under your smaller appliances, like deep fryers, crock pots, or toaster ovens, that would be beneficial as well. Now it’s time to reach a conclusion about this product, what else can I say about the Quartz Countertop but to reiterate what I stated at the beginning of this article. Though Quartz countertops are not priced according to what the consumer would pay, however at $50 per square foot quartz countertops are long lasting, offers great performance, sophisticated appearance, great selection of quartz colors, durability and so much more. It has been said that if you want the best, then you must pay a little extra for it.